The gladiators became popular for fighting to the death (usually) in order to entertain the roman public, in fighting pits. They fought against other gladiators, prisoners, and even wild beasts. The name comes from “gladius” which is roman for “sword”, afterwards derived to “gladiator” (sword fighter). 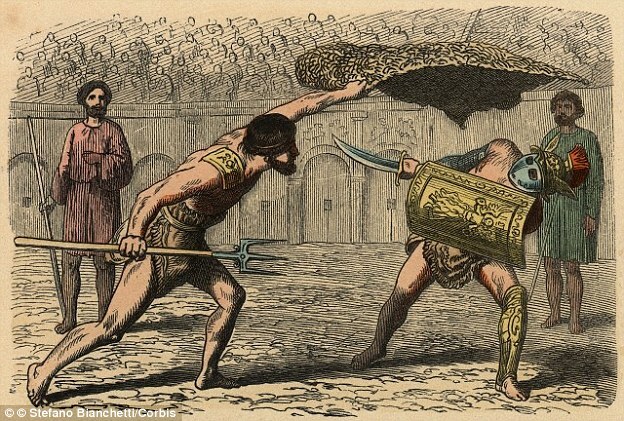 The actual origin of the gladiatorial fight is not agreed upon, but it probably started sometime in the 3rd century B.C. during the Punic Wars. Not long after it became a big part of the roman tradition, as it was a means to entertain both the aristocrats and the common people. It started as a tribute to different things, like a celebration of a military success or for the funeral of important figures in order to honor their memories. 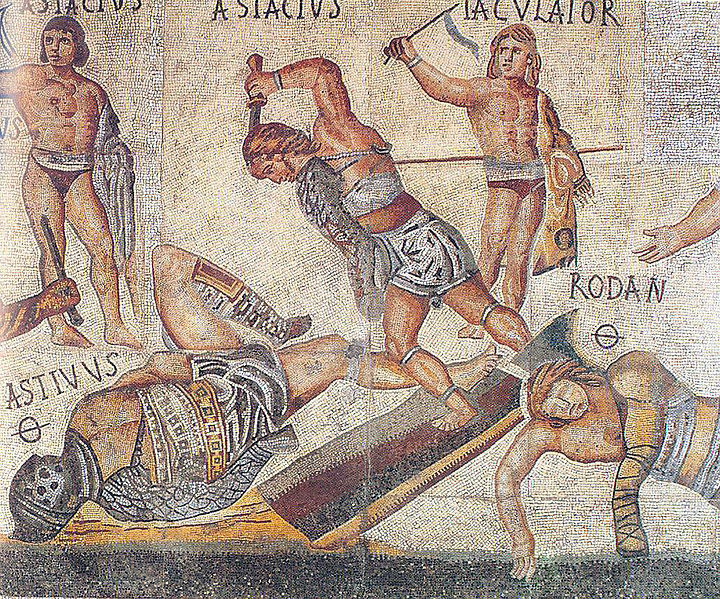 As the murderous games became more and more popular, gladiators were trained restlessly in special schools, becoming fighting machines with a single purpose: to kill. They were a very good business for politicians and the wealthy people. Slaves and war prisoners were often sold as gladiators, and the business quickly attracted large sums of money. The politicians also used the fights as a means to gather votes and praise from the commoners: if they managed to put on a good show with many gory fights, they became loved by the crowds. Many free men enrolled as gladiators for different reasons: they needed money or they wanted glory. Being a good fighter earned you high respect and adoration. The memory of some legendary gladiators fought its way through time, and nowadays everybody has heard of the likes of Spartacus. Many gladiators are still remembered, but the exploits of Spartacus and his men outrank by far any exploits of others. They managed to fight their way to freedom, killing their former owner and escaping from the arena. They continued to free more and more slaves, defeating all the roman soldiers sent to take them down. Throughout their journey, they managed to grow their numbers to nearly 70.000 men and women. Thanks to their experience with the fighting pits, many roman legions fell at their hands. They were eventually defeated by Marcus Licinius Crassus, who gathered an army of 50.000 well trained soldiers, and Spartacus was killed. Another famous gladiator worth mentioning is Crixus, a fearless fighter of Gallic origins who was undefeated in the pits. He was loved by the crowds and he served as Spartacus’s right hand in their famous escape. Because of its popularity, there are many feats related to the gladiatorial fights that are less known. 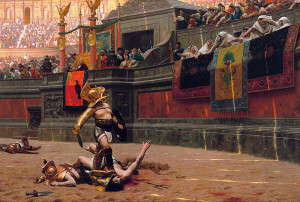 For example, the gladiators were allowed to keep any gifts they might receive from the public during the fight. Also, as the sport evolved, so did the fighting styles: more than 30 different styles of gladiators could be identified. It wasn’t just a sword fight anymore. The “Retiarius” fought with a net and trident, while the “Dimachaerus” fought with two swords. These different styles were carefully paired in such way that the fight would be balanced and fair. The “Bestiarius” were actually beast-fighters, trained to fight wild animals and not other gladiators. Female gladiators also existed, first mention in 60 A.D., but without the same success as their male counterparts. Of course, knowing the nature of the romans, one would expect that these feminine fighters would conquer the public even faster than the men. But it wasn’t like that. They were usually mocked, and in 200 A.D. Septimius Severus banned the use of female fighters. 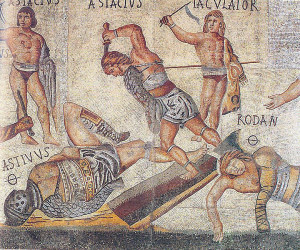 As a popular custom before the fight, the gladiators were offered a meal of their choosing. The night before the fight, they were treated better than usual and they were given some things they were not usually allowed to have as a symbol of the fact that they are likely to die the following day. 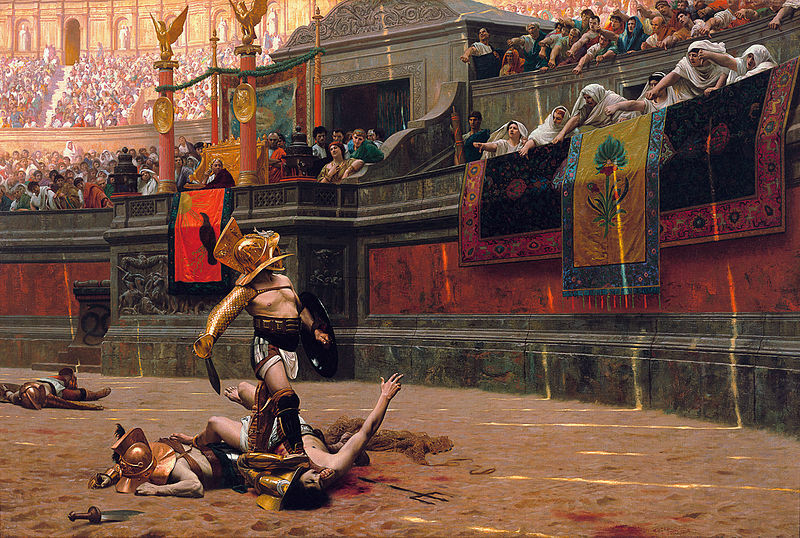 The gladiatorial fights ended in 399 A.D., when Emperor Honorius ordered that no more were to take place. The last fight in Rome actually took place on the 1st of January 404 A.D. Enjoyed reading this article? Why not read also about The Mysteries of the Library of Alexandria or The Renaissance – Birth of a New World.